NebraskaMATH needs your help. The National Science Foundation is sponsoring a video competition called “We Are Mathematics.” Earlier this year, we submitted a video showcasing the Primarily Math program. Our video highlights Primarily Math teachers who are improving the way math is taught and learned in Nebraska schools. The Primarily Math video was chosen as one of 16 semi-finalists. Currently, NSF is inviting the public to vote for their favorite entry. The entry receiving the most votes will be designated the People’s Choice winner. 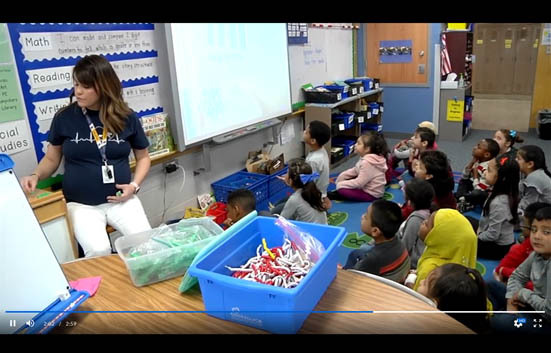 We encourage you to follow the link below to look at the Primarily Math video (and other videos). If you agree with us, please cast your vote for Primarily Math. The winner of the People's Choice Award will be featured on NSF's social media, website, and at a wide range of events, which would help spread the word about our inspiring Nebraska teachers and programs. Don't forget to share with our friends, family and students on Facebook and Twitter! Follow us on Twitter @NebraskaMATH. NebraskaMATH as a real impact on this state's students and teachers, and we need your help to share those accomplishments and reach more people than ever before. Public voting ends on April 30 at 6:59pm CDT so cast your votes now!